Is Property Investing in Darlington the Next Untapped Goldmine? There are some areas of the North East that are better positioned for growth than others. Darlington is the largest town in County Durham and its location means that it has a lot of opportunities that other North East towns would die for. Having good knowledge of the North East and knowing what is happening in the area is a big advantage. Many investors take a chance or do a little bit of research. You must look at the bigger picture to get an idea of what is going to happen over the next five to ten years. Here is what my local knowledge has come up with. You might think I have gone mad Heathrow is down south. Yes, but Darlington has its own airport. I know it’s called Durham Tees Valley (Although I cannot understand why) but it really is Darlington. The news of the third runway was welcomed by businesses in the North East. Presently you must fly into Newcastle then take an hour’s road journey to Darlington. Darlington will benefit with more daily flights into Heathrow. It will open the DTV airport to more customers. 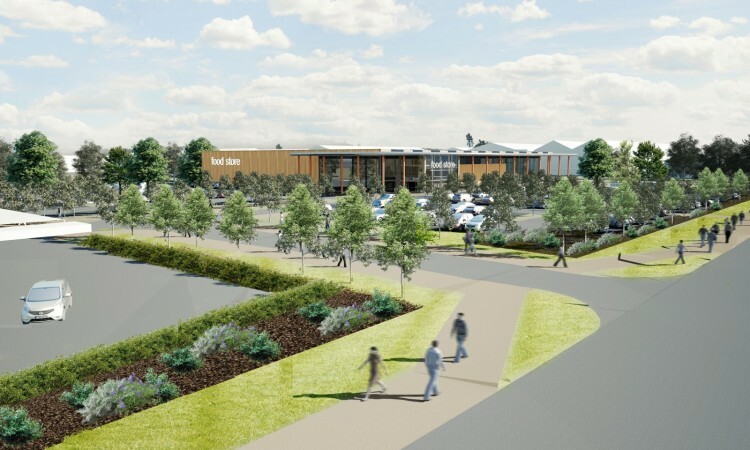 The new manufacturing and assembly plant in Newton Aycliffe, on the outskirts of Darlington is being developed to support the Department for Transport-led Intercity Express Programme and future Hitachi Rail projects. More local businesses will benefit from the local supply chain which will create more jobs. This has been proved in Sunderland with Nissan where there is a sizeable nearby supply chain of manufacturers producing parts. Works to upgrade the A1 from Leeming to Scotch Corner by replacing the existing dual carriageway with a new 3 lane motorway. This will benefit Darlington given its location as the first North East major town when traveling North. New road links on the A66 towards Darlington and Middlesbrough have already been built. Rail links to Teesside will be transformed by an ambitious multi-million-pound redevelopment of Darlington station. The station – which provides the hub for Teesside’s main rail link to London – is set to introduce dedicated platforms for local connections and future high speed services. Please click on the link below to see the plan. I always get excited when I drive around and see new housing developments. You might think that more properties will make the existing market weaker. I don’t see it like that. I see it stronger. I see an area undergoing big infrastructure changes as been a good area to invest in. More jobs equal more homes required. It’s a snowball effect. On my travels, I can see that there are a lot of new homes being built in Darlington. And the good news is that there is a lot more land available for building in the area. I could list loads of new housing, commercial and retail developments that are either under construction. have been approved or are being proposed some of which are large projects, but that would take up many pages. Please look yourself. Just Google – Darlington housing developments and see the amount of for yourself. I believe Darlington is going to offer investors a fantastic opportunity. Many Buy to Let investments in the town are offering yields of over 10%. But that is not all the picture. With an influx of new workers and contractors there is going to great opportunities for HMO’s, Multi lets, Serviced Accommodation and Property Development. The growth in Darlington will be long term and now that prices remain low in that area it is time for investors to take a closer look. We certainly will be! Some people will turn around and say it can’t be done. Well I have news for them – It can be done and in fact many investors are doing this now! Obviously, you need some money but we will go into this later. The simple question is how do you do it? This is where you will control a property, receive the rental income and pay the mortgage and all the expenses. The same as if you had bought the property. The only difference is that you do not own it! But you do control it. Let’s look at how you do this. This is a relatively new way where you make strong cash flow on property by renting it from landlord who may be sick or tired of his or her properties or both! Believe me there are a lot of these landlords out there and equally there are a lot of investors who see an opportunity that others don’t. Typically, you would agree to rent a property from a landlord at a fixed price for a fixed period. Say for round figures you agree a rental per month of £200 but you know you can get £500 if you let it to professional tenants. That would give you a £300 per month cash flow or £3,600 per year for little or no outlay. You might need to give the property a small refurbishment at the beginning but that’s all. There are many landlords who are just happy with a fixed amount each month. They don’t want the hassle of being a landlord any more they just wanting a quiet life. These are effectively a Rent 2 Rent but with more control and an option to own. Typically, on a Rent2Rent you would pay the landlord a fixed amount each month and they would pay the mortgage. With Lease Options, it is effectively a Lease of the property for a fixed amount of time. Usually a minimum of seven years. It also has an option to buy the property at a fixed price anytime in that agreed period. We sell a lot of option contracts and the ones that are the best value are the ones where the option price is near or just above the current valuation. That’s where you can get the bonus of capital growth. Using the example above as a reference, you are making a strong cash flow of £300 and you also have a 7 year option to buy at let’s say £50,000, which is the current market value. After seven years, if the property were to go up by 20%, as well as banking £25,200 in cash flow (£300 x 12 months x 7 years) you would also have £10,000 in equity if you were to exercise the option. Example Deal – No Brainer! There are a number of rent2rent & lease option opportunities becoming available. They are becoming very popular with tired or unsuitable landlords as they can get rid of what is a burden to them. I want to show you one Lease Option we have just sold that I think is an excellent cash study. A three-bed terrace property that is currently tenanted at £350 per month. It is in a good area and the option price is £50,000. The mortgage payment is £130 per month giving a cash flow of £220 per month. The term of the option is for eight years. It is situated on a long road and there are a lot of different types of property so what is the current value? Hard to say but my estimate based on sold prices is that it is worth at least £50,000 now! Let’s add up the figures after 8 years. £21,120.00 in total cash flow. Say the property increases in value by 3% year-on-year, then £50,000 becomes £63,338.00. This gives you £13,338.00 in equity for you to apply for a 75% loan-to-value mortgage for you to purchase this property. The final question is how much did this deal cost? £5,000.00 sourcing fee (which you would make back after 2 years). The Shrewd investor will gobble these types of deals all day long. They are low cost, low risk and high reward. Like anything else you need to do your research as for every good deal you are offered there will be a several duds. But these are great deals if you have limited initial capital. Keep a look out! Buy Property at the right price! This is by far the most important tip I can give you. It is alright me saying that but how do you know if you’re buying at the right price? Below, I will list what actions you should take so that you can be comfortable with the price you are willing to pay for a property. Any business will tell you that research is important and property is no different. Whatever your investment strategy is you need to focus on finding out about the property plus the area. Is there strong or weak sales demand? What is the average sales price for the type of property you are interested in? What has been the most recent sales prices? This is important and there are numerous portals where you can get this information, including Rightmove and Zoopla. Another tip, always make sure you are getting like for like. It is no good comparing a house in excellent condition with one that needs a lot of work. The most recent sales price will give you the most accurate valuation, if the sale has been in the last twelve months. Any later sales must be re-adjusted. Look at what is for sale now in that area and search out to a quarter of a mile. Are there any under offer? If there is, then that can be used as a reference for your valuation. If you are buying to sell on or flip as we call it then you need to take on even more research. You need to know what types of properties are in demand ie; detached, semis, terraced or flats. Finding out how long it takes to sell each type of property will also back up your decision. Professionals such as Estate Agents usually have access to use Rightmove Plus, which gives a best price guide. From there you can see how long a property was on the market before it sold. Another good portal is Hometrack it has an annual or monthly subscription but if you are serious about your buy and sell strategy then this will worth every penny. Having the right information can save you thousands. Phone estate agents, and ask them how the market is for your type of property. Tell them you have a relation that is thinking of selling. If they ask more questions like name, address etc; then just make up a story that you are enquiring for your auntie or uncle and that it is a general enquiry at this stage. I am always good at making stories up for agents. They smell commission as soon you mention a sale. If you are investing in a buy-to-let (BTL) then check out the rental demand by using Rightmove and Zoopla. Don’t be frightened to phone letting agents to find out if they have a lot of enquiries. A note about estate and letting agents. They will sometimes tell you what you want to hear as far as prices and the market are concerned. Please just use their information as part of your wider research. You need to see with your own eyes if the property fits the description. Is it in good condition? Does it have any structural problems? If you are inexperienced you might want to take a friend that knows about property or a builder. The latter are usually good judges and can be quick to point out any defects or problems. I would also advise you inspect the area. Have a good drive around. Is it a nice area? Do you see any for sale or sold signs? Print out the recent sold prices and look at those properties. Are they any different than the one you are interested in. By collating all this information, you should now be able to know if the property is a good buy or not. If you are buying to sell at what price do you need to buy to make a profit? If you are investing for BTL then you will now know the rental demand and type of tenant to expect. Having done your research and inspection and you are satisfied that the property is a good buy and the price you want to pay…then it’s time to move onto the next step. Here is where you can really make your money. All I would say, go in as low as you dare. Don’t be frightened to offend! Just a short personal story. About fifteen years ago, I sold our family business which included our flat. We lived with my wife’s in-laws for a year as we could not find a suitable property in our home village where we wanted to live. There had been this property that had been on the market for ages and it was empty. I knew the owner lived a few miles away and had bought it as a part exchange deal. We were not convinced because it faced North and looked dull. We booked a viewing and to our surprise we were amazed how much light came into the property from the other side and with a lovely garden to boot. I went into the agents it was on the market for £125,000. The agent said he thought the owner would take £118,000. Always ignore what the agent says. Test the seller yourself. I offered £90,000 because I knew it had been on the market a while and the seller wanted rid. The offer was refused. The agent came back and said if I went to £110,000 I would get it. I left it a few days as not to show any great desire. I then went back in and offered £93,000 I told the agent it was my final offer and if it was not accepted I would look elsewhere. And guess what? The agent came back and said the offer had been accepted. Happy days it’s now worth over £250,000! Using the three steps Research, Investigate and Negotiate you should be able to secure good property deals that will give you a solid profit. Take your time and don’t be rushed by an agent or owner. Always remember it is better to walk away from a bad deal! What will 2017 hold for UK property investing? When we get into a New Year many experts are asked to give predictions for their particular market for the year ahead. That may be share or currency specialists, and of course property. Yet all they can be is predictions based on experience and knowledge of the market. Experts rarely get it 100% right…it is a bit like looking into a crystal ball. I believe in looking at the facts then giving my opinion of how I see the property market in 2017. I am writing this after the Prime Minister’s speech confirming the terms of the UK leaving the EU. It was a very impressive speech. No messing about. This gives a clear picture for the general public on what the government is trying to achieve. This has an effect on people’s confidence for the future. The speech will give people confidence that the future is bright and I expect that to show in house prices. To date, despite the doom monger’s predictions, Brexit has not had any negative effect on property, apart from in London. I do not foresee this having any major effect in 2017 either. This is very important. Many people do not realise it but our currency level is an important factor in much of our everyday lives, from filling the car with petrol to holidaying abroad. A low currency rate is good for exports but bad for imports. A weak pound makes the British property market very attractive for foreign investors. A lot of these investors see less value in the London and southern markets and have turned their attentions to the big Northern Cities of Manchester, Leeds, Liverpool and Sheffield. Manchester in particular is becoming an investment hotspot for Chinese investors. There is strong demand for new build apartments and I noticed this first hand on a recent visit with a huge regeneration of the City centre with many apartment blocks under construction. I expect this to continue in 2017. There are big tax changes coming into force in April 2017 and these will have a large effect on buy-to-let investors. It is a government crackdown with large tax bills looming. Many investors could be looking to either sell or restrict their portfolios. Some are considering moving into other areas like lease options and commercial property. Stamp duty rates for investors are also having a huge effect. Writing from experience, there is a big increase in landlords who have become tired and disillusioned with property investing and are now considering either selling or handing over management of their properties to other investors. I think this is going to be big in 2017, especially in the North. Many landlords who bought ten to fifteen years ago, have seen no rises in values and many are stuck in negative equity. As their mortgage terms are mainly interest only they have no means to pay the capital value unless prices increase significantly. They are nearing the end of their mortgage terms and they have are having to consider how they can get out now. The big housebuilders are developing as fast as they can. Demand for new homes is high with the government help to buy scheme underpinning this market. First time buyers have been snapping these properties up instead of buying old terrace or semi-detached houses. Who can blame them. I believe this is one of the reasons why such older stock has not increased in value especially in the North East. There is no doubt that the tighter lending criteria imposed on the banks by the Bank of England has had an effect. Much has been said on this subject but we cannot go back to the free lending days we had before the crash. This is a more prudent way and this will continue for the future. Buy to let investors are finding it much harder to borrow money and this needs to be considered when looking at the market. With savings rates at an all-time low, many investors are now investing purely for yield and a higher return on their money. In the North East where property prices have risen at a far lower rate than the majority of other areas, there is growing demand from investors with cash seeking high yields. I expect this to continue in 2017. The forecasters are always trying to predict rates. Many wanted an increase before Brexit only for the Bank of England to reduce them after the referendum result. If the pound stays low and inflation significantly increases, then the bank might have no option but to increase rates. I believe this could happen this year but I do not expect big rises as there is still uncertainty in the economy. The market in 2017 will be strong in the Northern Cities bolstered by Manchester, Liverpool, Leeds and Sheffield. Foreign investors will continue to invest in these cities for new build residential. New build student accommodation will also be in strong demand. There are lots of these types of developments being built with many more in the planning pipeline. There will be strong demand for new-build residential properties all over the UK. Prices will be stable in the South East and London where yields remain poor. The North East will enjoy good demand from cash investors looking for high yield returns. North East Property Investments – Why? Why? Why? Every property investor knows that house prices have gone through the roof in London. In other words, very few non-millionaires can afford a house or apartment there. Here in the North however it’s a different story. The good news for anyone reading this right now is that by the time those house prices do start going up here in the North, the shrewd buyers will already have bought up properties, meaning they’ll be sitting on some tidy profits. And the very fact it hasn’t happened yet means there’s still time to get your act together and start looking northwards for property. But maybe you don’t know the North East that well, being a Southerner an’ all. Well, this is where I come in. I know this area like the back of my hand. I don’t just know the difference between freehold and leasehold but where the regeneration is planned and what the history of an area is. And I’ll tell it to you straight too. People have already started moving up here from the South East. My neighbour in beautiful Durham Dales is from East Sussex and has recently bought a lovely old vicarage for under £350k (they’d looked at similar properties in the South priced at more than £1 million). This will affect the South East (where house prices are highest and yields already low) by far the worst. In the North East though it’s a far different story. The additional stamp duty on a £50,000 house, for instance, would be a mere £1,500 extra – compared to a £750,000 apartment in Canary Wharf that’ll cost an eye-watering eight per cent (or £60,000) extra. Incidentally, you can buy a good investment property up here in the North East for much less than that that very sum. It’s important when you’re considering investing in an area that you look at the big picture. Does the future look promising (ie in terms of regeneration)? What’s the likelihood of more – or fewer- jobs in the area? It’s important to know the answer to these questions as chances are you’ll be holding on to your property investments for years to come. If you were buying shares in a company you’d do your homework – so due diligence is the watchword here. Personally I believe the North East has plenty going for it and a promising future. But what have I based that on? Responsibility for around £500 million of European Funding. A North East Investment Fund, bringing together capital funding for economic development, transport and regeneration. A Housing Investment Fund including funds and guaranteed loans. Plans for investment in major transport infrastructure. The creation of Transport North East – an integrated public transport system with connections to Newcastle International Airport. New powers to help North East business to grow via a North East Business Growth Hub. There are already some great infrastructure schemes underway including a new bridge over the River Wear at Sunderland (and which I’ll talk about in a future blog). The planned devolution powers and investment will enable the North East to expand faster, making it extremely attractive for both new businesses and inward investment. A recent article, in one of the local newspapers, shows great promise for the engineering sector in the North East, resulting in increased job opportunities and more competitive wages. The article reveals that in terms of automotive, rail, aerospace and defence industries the North East has attracted more start-ups and seen more growth than even London. Based on a report compiled by engineering analysts Nixon Williams, it shows that between 2014 and 2015, the number of engineering businesses in the region jumped by 17.6%, from 595 to 700. This is mostly down to multinationals such as Nissan, Hitachi, Komatsu and Caterpillar all attracting engineering start-ups to the area. I am positive the North East is going to improve significantly. It has already moved from the days of traditional heavy industry and coal mines to a more modern economy and undertaking a number of important infrastructure projects. Jobs will be created and housing needed both to buy and to rent. Actually, the future for the North East has never looked so good. So in the next coming weeks I will be providing at least once a month a detailed and comprehensive answers to hot topics and also my thoughts on the latest property investment news. Feel free to contact me below to pose a question that I can answer in an upcoming blog.